The Cool Cabin Water’s Edge is located on the tranquil shore of Rudyard Lake, Rudyard, in the beautiful Staffordshire Moorlands. 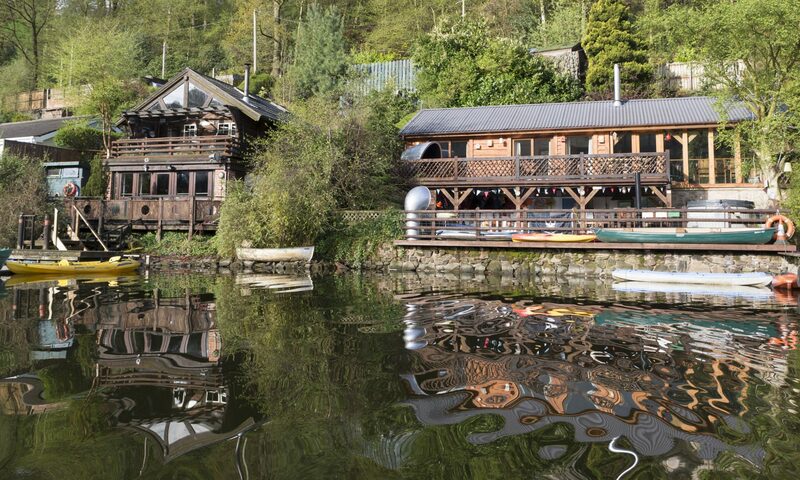 Our Water’s Edge lakeside accommodation offers you peace and quiet and the perfect antidote to a stressful life. 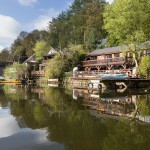 Here at Cool Cabin Water’s Edge we specialise in providing relaxing and enjoyable short break and long break stays. Winter breaks, festive breaks, parties, and Hen and Stag Do’s are also offered. Imagine staying at our picturesque self catering accommodation near Leek in Staffordshire. You’ll immediately relax and unwind overlooking the Lake on the balcony. But, if the weather’s a bit cool, take in the lovely views of Rudyard Lake and it’s surroundings looking out from inside the warm, light and airy main living room. The spacious cabin sleeps up to eight people in accommodation comprising three bedrooms and an outside wooden sleeping pod. There is plenty of room outdoors to relax, eat and barbecue lakeside. Feeling energetic? Fancy a fun activity that’s literally on your doorstep? 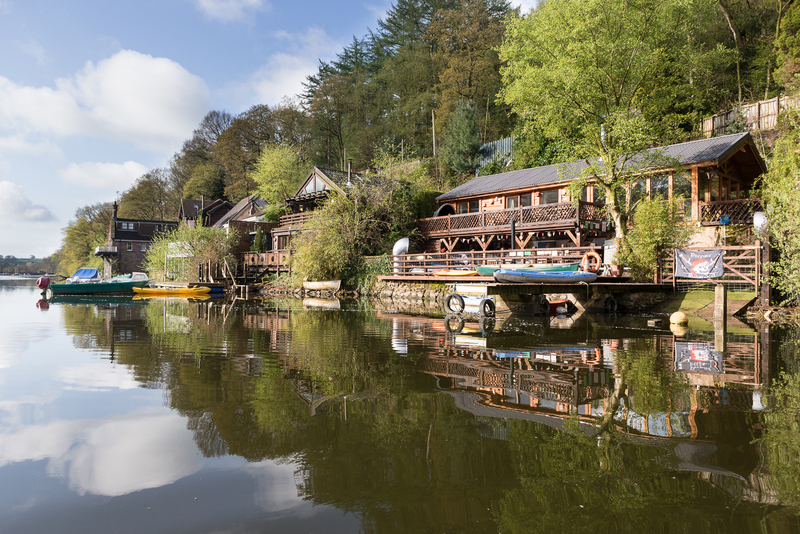 Take to the water on Rudyard Lake in a kayak or canoe, which is included in the cabin hire price, along with water safety lessons. In keeping with the theme of water and relaxation, Cool Cabin also features a hot tub, sauna, cedar wet room and semi-outdoor shower room. Feel the need to tear yourself away from Cool Cabin? That’s OK. There’s plenty to do. Walk around Rudyard Lake, which is on the edge of the Peak District National Park and only half an hour from Alton Towers. Walk part way and then take the Rudyard Lake Steam Railway the rest of the way to appreciate the scenery. Rudyard lies two miles away from the bustling and vibrant market town of Leek in the Staffordshire Moorlands. Leek has a mix of local independent shops along with larger stores and supermarkets. You might like to watch videos of Rudyard Lake, its surroundings, and things to do there. Watch our selection of Rudyard Lake videos (stay on this site). There are also loads of great videos of Rudyard Lake available on YouTube, including fantastic aerial drone footage. Watch videos of Rudyard Lake on YouTube (link opens in a new tab). Other local attractions within a short drive of Rudyard Lake are Trentham Gardens and Stoke-on-Trent with its many museums and ceramic attractions. These include Emma Bridgewater, World of Wedgwood and Middleport Pottery. ‘Twitchers’ can look out for rare sightings of resident and visiting birds and wildlife at RSPB Coombes Valley. You can also bird watch and spot wildlife on or by the lake. Above all, the main attraction is that Cool Cabin Water’s Edge is a cabin by a lake and it’s also cool. So get yourselves here!